Milwaukee-based Super Steel LLC will hire 25 welders as it continues to grow to meet the demand of the construction and oil and gas industries. Super Steel is growing in all areas of its business and has a strong backlog of work that President Dirk Smith expects will stretch into the first part of 2015. To learn more about how President & CEO, Dirk Smith, will meet the demand of customers, read the full article in BizTimes. To apply, attend one of our job fairs on Saturday, August 2nd from 8am – 11am and Wednesday, August 6th from 4pm –7pm. Welding candidates will be able to meet and interview with members of the Operations team and learn about our fast growing company. The job fairs will be held onsite at Super Steel, located at 7900 W. Tower Ave in Milwaukee. 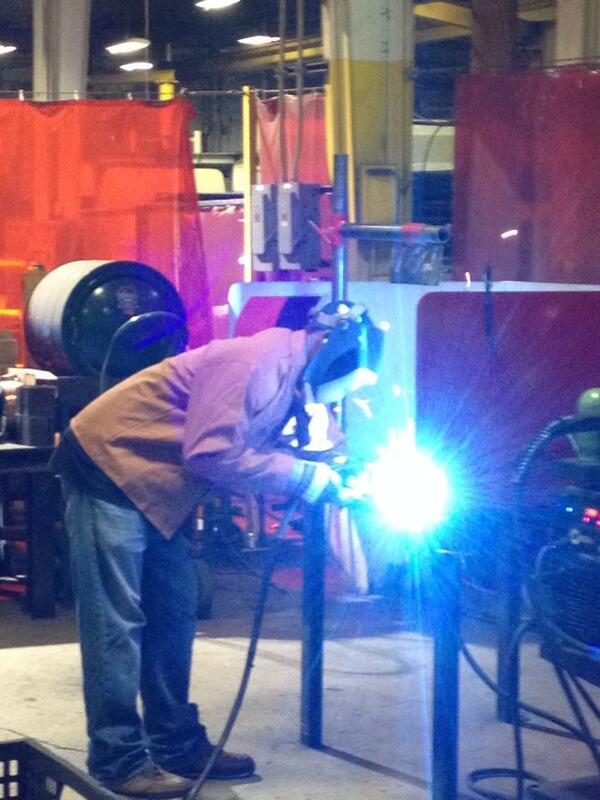 Candidates should bring their resume and weld helmet for on-site testing. We have multiple openings on all shifts, paying up to $25/hr. We are also offering up to $1000 in signing bonuses! Welders are encouraged to attend one of the job fairs, but if unable to attend, they can still be considered by sending their resume to humanresources@supersteel.com with the subject JF-Welder. Super Steel is Milwaukee’s leading contract manufacturer and offers a full benefits package which includes: competitive salary, medical/vision/dental insurance, paid time off, 401k, wellness program and an on-site health clinic. Candidates will be asked to complete a weld test and will have the opportunity to meet with members of the Operations team.